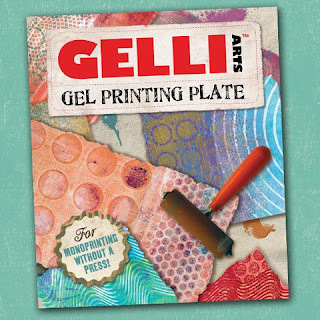 Last week I made a visit to Phoenix, AZ, and I came across some fun fibers I wanted to share. 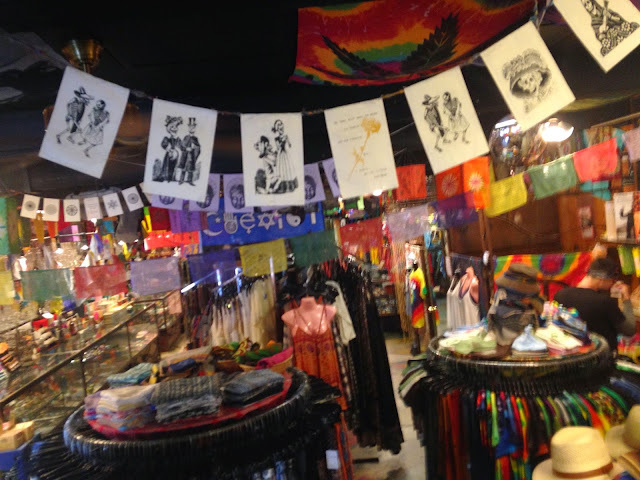 First there was a funky hippie store with lots of prayer flags. I knew of a few friends that would love this Day of the Dead set of flags. 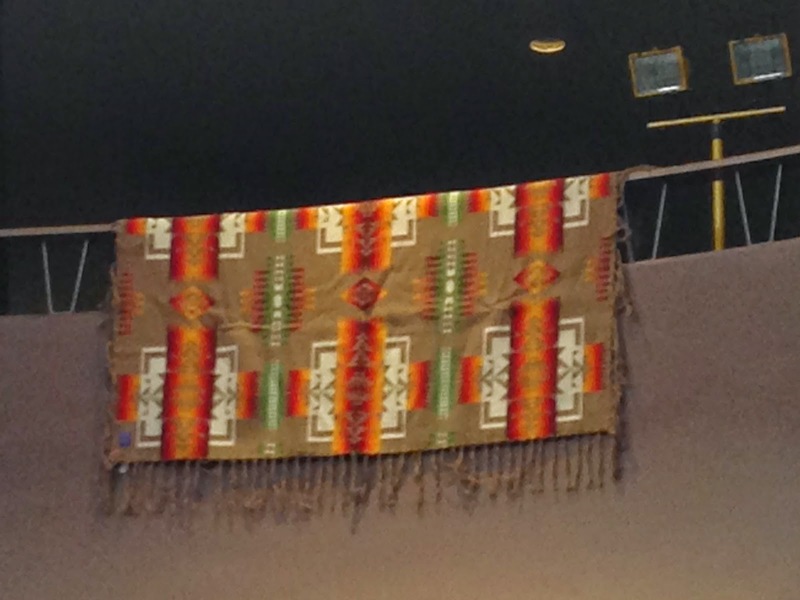 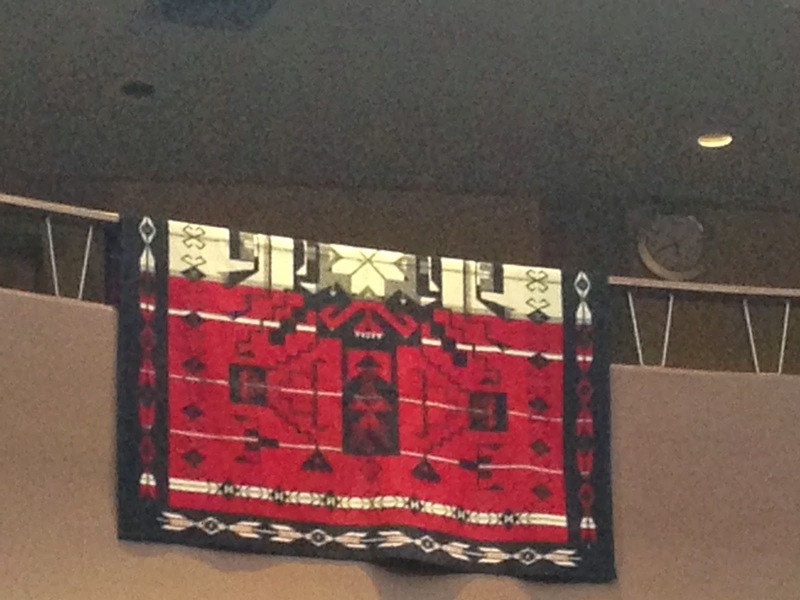 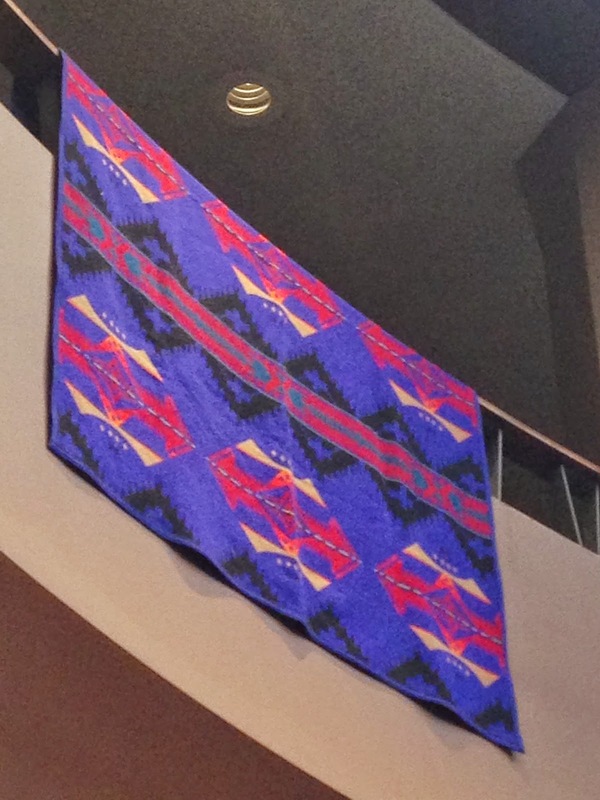 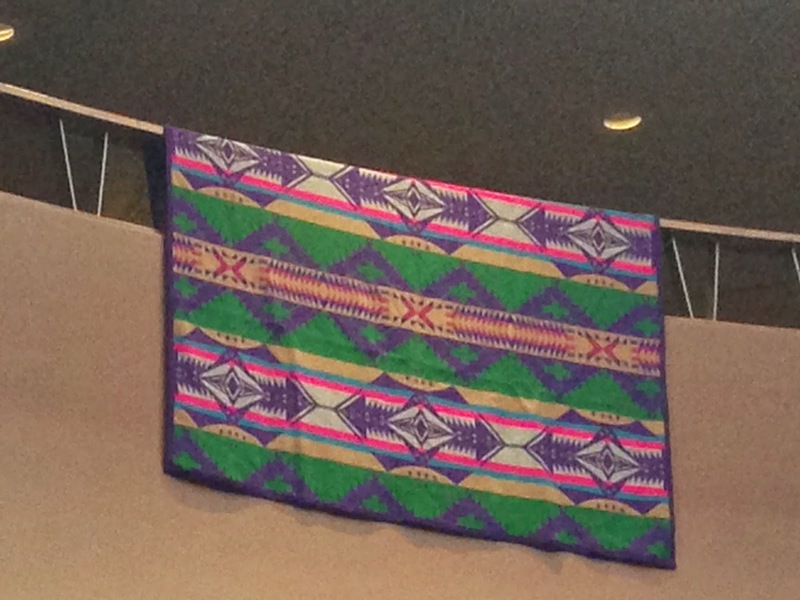 We attended a dinner at the Law School which had these beautiful Navajo rugs draped across the balconies for decoration. I wish I had been able to look at them up close to see all the weaving! 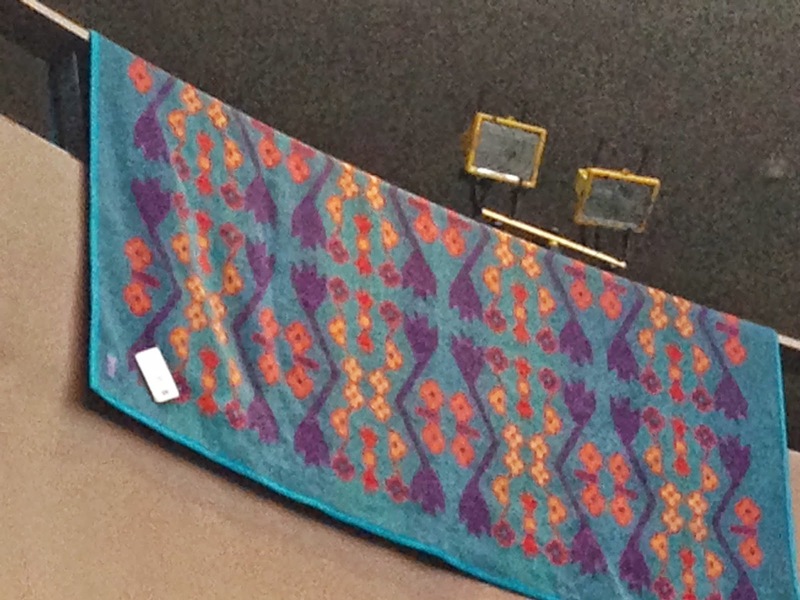 It's always wonderful when you can see beautiful fibers without really searching!